International removals might seem like a complex and overwhelming process, but the stress of relocating overseas can be eased when you take advantage of Movecorp’s worldwide removals and shipping solutions. Our team of seasoned movers and packers complete hundreds of international house removals from the UK every month, so you can have peace of mind that your furniture, clothes, antiques and appliances are all in good hands. Having sent vast amounts of removals overseas during our time in the industry, we have got our reliable, swift and economic services down to a tee, and we are proud of our reputation as one of the UK’s most trusted international removal companies. 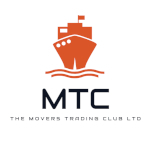 Not only are we well-experienced in overseas removals, but our global connections with fully-accredited service partners and shipping agents mean you will receive the same superior service in any international destination as you would here in the United Kingdom. How do I send removals overseas? Sending removals abroad couldn’t be any easier; your hard work ends at requesting a free quote. When you choose Movecorp to handle your move, we run the show from door-to-door, allowing you to focus on more important things that coincide with an international relocation. We begin by introducing you to a moving coordinator, who will conduct your removals from beginning to end, ensuring the process is easy sailing and providing professional advice on the best options to suit your budget and time frame. 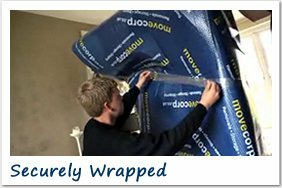 We pack, wrap, load and deliver your possessions to the destination of your choice; we even arrange the required paperwork and documents in advance of your international removals. What is included in your overseas removals services? We understand that no two moves are the same, which is why we cater to the individual and adapt all home removals to suit unique budget and time constraints; just one of the reasons why we are a favoured international removal company. What countries do you serve for worldwide removals? No destination is out of reach for the expert international removers at Movecorp. We help individuals, businesses and families relocate every single day, so wherever you are moving, you can be sure our worldwide removals services have already sent us there. 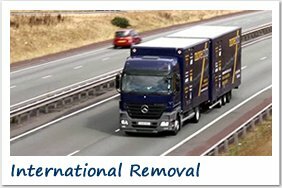 What items can I send as international removals? No consignment is a challenge for our veteran movers and packers. Many years in the shipping and removals field has enabled us to send everything imaginable, we can handle anything you throw our way. Our international removal services usually see us sending large commercial and domestic consignments to locations around the globe. Movecorp has the skills and practice to send 40 cartons, office furniture and equipment, beds, three-piece suites, large wardrobes, household appliances, sports equipment and beyond. Whatever you need to send internationally, we have the ability. If you are unsure, your removal coordinator will be happy to help at any time. What are your overseas removals costs? Since we know how quickly costs can add up when emigrating overseas, Movecorp strives to keep our international removals prices as affordable as possible. 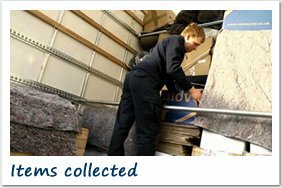 Whether you are sending a bungalow, an apartment, an office or a mansion, we have removals options to suit all budgets. Our part-load removal allows you to send goods inside a shared shipping container and you will only be required to pay for the space your items occupy. This is an ideal option for smaller homes, such as apartments and flats. If you have a larger home or are shipping an entire office, you can pay for the exclusive use of one of our 20ft or 40ft shipping containers to fill how you wish with our sole-use removal service. Your chosen end destination will also be a contributing factor to your international removals costs, however your coordinator will provide you with a detailed removals quote before you agree to anything. 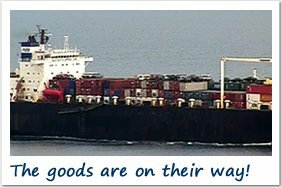 What are the shipping methods for international removals? If you need your possessions in a hurry, air freight is the fastest transport method to move your goods internationally. International Removals via air freight are highly convenient, but this does come at a cost. Your quote for air freight International Removals is calculated based on the weight of your consignment, meaning it is not so economical especially for whole home loads. Another factor that could influence the cost of your air freight International Removals is what you decide to do with your goods upon their arrival at your end destination. You can opt to collect your belongings at the airport yourself, or you can allow one of our diligent overseas teams to deliver your goods direct to your front door. For International Removals on a global scale, sea freight is a popular transport method of choice due to its cost-effectiveness and ease for clients. Depending on your journey’s end, International Removals via sea freight can be a slow process and so we recommend that you allocate ample time for your delivery. Dedicated container load is the ideal International Removals method if you need to send an entire home load or a large commercial office space with equipment and furniture. You will pay for the personal use of a 20ft or 40ft shipping container. The 20ft container will comfortably fit a three-bedroom home and 40ft is ample space to send a vehicle alongside other goods. Why should I choose Movecorp for sending removals worldwide? 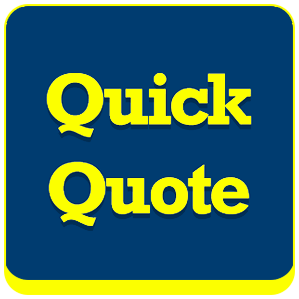 If you think we might be being a little biased, you can read the outstanding backing we have from previous clients in our international removals reviews.